Ilan Pappé is an Israeli academic and activist. He is currently a professor at the University of Exeter (UK) and is well known for being one of the Israeli “new historians” – re-writing the Zionist narrative of the Palestinian-Israeli situation. He has publicly spoken out against Israel’s policies of ethnic cleansing of Palestine and condemned the Israeli occupation and apartheid regime. He has also supported the Boycott, Divestments and Sanctions (BDS) campaign, calling for the international community to take action against Israel’s Zionist policies. During my two months’ stay in Palestine, where I have worked with the NGO “International Solidartiy Movement” as an international observer and activist, I had the opportunity to talk to Professor Pappé about the ethnic cleansing of Palestine, Israeli politics and society, as well as the role of the international community and solidarity activists in Palestine, resulting in a three part series of interviews which will be successively released on jetdencre.ch in the coming weeks. Raffaele Morgantini: In your book “The Ethnic Cleansing of Palestine” (2006) and in your different speeches, you declare that Israel’s policy in Palestine could be qualified as a policy of ethnic cleansing. Has this strategy changed now or has the ethnic cleansing continued? If so, how has it continued? 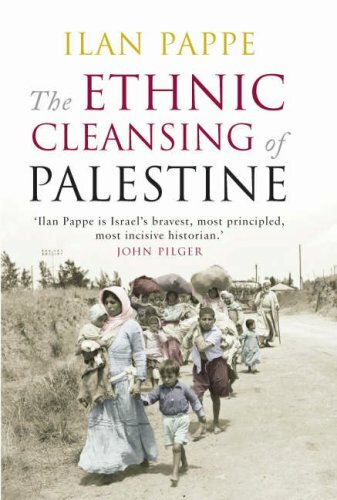 Ilan Pappé: Before choosing the title for my book “The ethnic cleansing of Palestine”, I thought a lot because I knew the connotations, I realised that for too many people it would be too radical. I remember even my publisher had reservations about it. But then I checked the American State Department website about ethnic cleansing and the description of what ethnic cleansing is and it fitted so well with what was and is going on in Palestine. This description does not only describe an act of expulsion but also its’ legal implications, which is in this specific case, is a crime against humanity. It also says very clearly that the only way to compensate an ethnic cleansing is to ask the people who were expelled whether they want to return or not. About the second part of your question, if this ethnic cleansing is continuing or not? Yes, I think it has continued, by different means, but it has. However, the Zionist ideology and strategy has not changed from its very beginning. The idea was : “We want to create a Jewish state in Palestine but also a Jewish democracy”. So the Zionists need to have a Jewish majority all the time. Now, you can do that by bringing Jewish immigrants to Palestine, but that didn’t work, the Jewish people remained a minority. 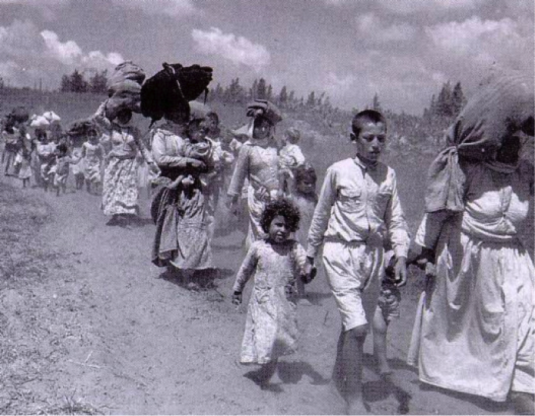 They hoped that the Palestinians for some reasons would just leave, but this didn’t happen. So, ethnic cleansing was the only real solution from the Zionist perspective, not only to have control over Palestine, but also to have a Jewish democracy even with a really small minority. In 1948 they [Zionists leaders] believed that there was a unique historical opportunity to solve the problem of being a minority in the land where they wanted to be a majority. Ethnic cleansing is a huge and massive operation, which usually takes place in time of war; therefore, you cannot always know how to finish it. At the end of 1948 they [Zionist leaders] had 80% of the land they wanted (Israel without the West Bank and the Gaza strip), and in it they [Jewish people] were 85% of the population, together with a small minority that we today call the Palestinians of 48. They did not expel these Palestinians but they imposed their military rules on them, which to me is another kind of ethnic cleansing. You don’t physically get rid of them but you make them leave their houses, you don’t allow them to move freely, you don’t allow them their basic rights. In this instance, it was not about dispossession by uprooting someone but instead by making them prisoners, aliens in their own land. In 1967 the territorial apartheid in Israel grew. Now they wanted the rest of the land of historical Palestine. They achieved this with the Six-day war. Then, they did something absurd from their own perspective. In 1948 they threw out from the country about 1 million Palestinians and in 1967 they incorporated about 1 million and a half Palestinians (those who were living in the West Bank and Gaza strip). So again, they had a problem with the Jewish majority democracy. Palestinians became again a demographic threat. In 1967 they also expelled Palestinians, mostly from Jericho, Bethlehem, Jerusalem, Nablus, Qalqilya, but we don’t know the exact numbers. In order to understand this particular ethnic cleansing afterwards, we need to look at how they solved their problems in 1967. The war was a big victory for Israel because they got the land that they always wanted, the land of the ancient biblical cities (like Jericho, Hebron and Nablus). They didn’t expel the Palestinians, but they didn’t give them citizenship either. The problem is that they colonized the rest of the land, denied citizenship to the natives and then they told the world that they wanted peace. So what they did, and they still do, was lying to themselves and to the world about their intentions. All the peace processes were just a cover. 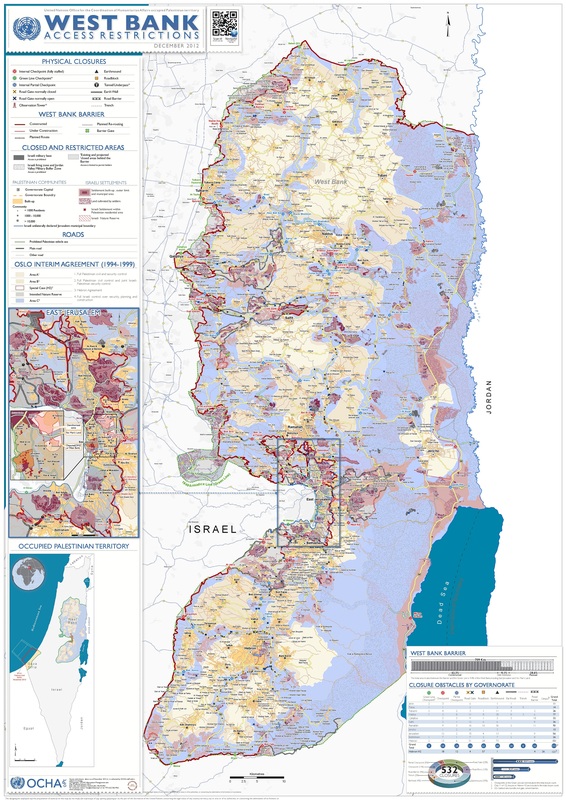 Now, what to do with this new demographic threat (there are now around 5.5 million Palestinians in the whole region of historical Palestine)? I call it ethnic cleansing by different means. Some of the Palestinians lost their homes (between 1967 and today an average of 300,000 to 400,000 Palestinians have been individually expelled). They were either expelled or when they were travelling abroad, for example during a business trip to Rome and they didn’t come back within a year, they lost their right to return. Even if they came back within a year and later they leave the country again, even only for a few days, they also lose their right to return. It is hard to describe the ethnic cleansing because it is only about individuals and they succeeded with many. Then they expelled the Palestinians from the biblical areas that they wanted to be purely Jewish, like the greater Jerusalem area, where a lot of people were forced to become West Bank Palestinians after the occupation of 1967. The ethnic cleansing is not only taking place in the West Bank or Gaza strip. For example in the Galilee, Palestinians are not allowed to develop their cities and villages. Sometimes you don’t even need to expel people as long as you don’t allow them to expand, to build their infrastructure, to have a decent job. In fact, a lot of Palestinians in the Galilee left because of the policies of Judaisation. We also have ethnic cleansing of the Bedouins in the south (Negev). Next month (June 2013), Israel is planning to push 30,000 Bedouins out of their lands and homes, to put them into some special centres. A little bit like the Native Americans reservations. What we have here is a constant policy since 1948. How can you solve the problem of a country that wants to be both Jewish and democratic? How can you maintain a situation by which those who are citizens are only one people? You can tolerate a small number of Palestinians, and this is actually good for Israel because it creates a façade of them being the “only democracy in the Middle East”. However 20% of Palestinians (that’s the current percentage of Palestinians living in Israel) is too much because they could hypothetically have an impact in the Israeli political system. So, how to proceed? In 1948 it was about taking them out of their homes, now they are doing it in a different way. 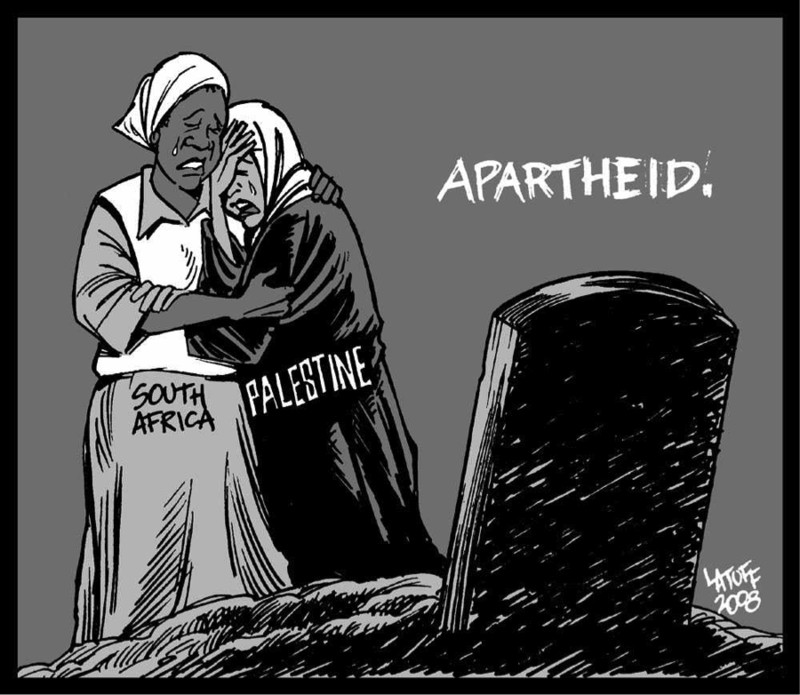 They created an apartheid system within Israel and they make the West Bank a place where people lack citizenship. RM: What are the concrete administrative and legal obstacles for the Palestinians living in Israel? IP: The Palestinians in Israel are discriminated on 3 levels. The first is legal. By law, the fact that you are Palestinian means that you have fewer rights than a Jew. The most important law in this regard is the law on land ownership. According to the Israeli law, the land in Israel belongs to the Jewish people and them only. As a non-Jew, you are not allowed to trade or to purchase land and we are talking about 93% of the land. That’s why the Palestinians can’t grow and expand within Israel. Other laws do not specifically talk about the Palestinians; this is an old Israeli trick. The law says that if you have not served in the army you cannot have full rights as a student for example. You won’t get student’s subsidies, health services allowances, social security et al. All those things that the Western countries try to give to their citizens come with the precondition of military service in Israel. It is a trick because the Israelis do not want the Palestinians to serve in the army. In fact, they are not allowed even if they would want to. There is an exception when it comes to Orthodox Jews, they do not serve in the army but they are not discriminated because they have a special annex to the Israeli budget. The Orthodox Jews get the money that the state would have used if they would have served in the army. So, Israeli law speaks for itself because it says that if you are Palestinian, you are a second-class citizen. The second obstacle is policy discrimination. With this I mean that theoretically all citizens are equal. But when you look at the allocation budgets for schools, roads, infrastructure, anything at all, the Palestinians always get half or less than half of what the Jewish communities get. Here in Israel, you can see if you are in a Palestinian village just by looking at the quality of the roads. This is even nastier than you realise, because you can only improve the quality of the village by collaborating with Israel. The third level is the worst one. It is the one of the daily encounter that Palestinians have with whoever represents the law in Israel. We undertook research in Haifa many years ago, which showed that in court, for the same charges, Palestinians always, always, got – and still get – double the punishment than their Jewish counterparts got. To these three levels I will add two things. The Palestinians know that in the eyes of the Israeli authorities they represent a demographic threat. They live their whole lives knowing that the state they live in sees them as a problem and wants to get rid of them. That does not just mean the overt discrimination they face, because on top of that they are psychologically destroyed from within. We are not even talking about immigrants, but about people who are living in their homeland. This is exactly what Israelis do not understand, that the Jewish people were in the same situation when anti-Semitism was spreading around Europe. Finally, if we want to compare this situation to South Africa, it is true that here we do not have a “petit-apartheid”, the one which for example creates separated benches and toilets for white and for black. Here it may not be visible to the public eye but is as bad as the one of South Africa. RM: In Al Khalil (Hebron) I have observed the expansion of mass child arrests, which have increased sharply in the last year. For example, 27 children aged between 7 and 16 were arrested on March 20th this year on their way to school. What do you think are the specific reasons behind these unjustified actions? IP: First of all, this is not new. I remember I wrote an article some years ago for the London Review of Books entitled “Children in Prisons”. I also remember when I went to Ofer prison, near Ramallah, after a journalist had told me to go there and watch this children’s court. I saw many children together, all shackled and wearing orange prison uniforms, with a female judge who quickly accused them of throwing stones or something like that. The policy of child arrests has intensified in recent years, and I think there are two specific reasons for this. Firstly, the Israeli secret services find it more and more difficult to get Palestinian informers. 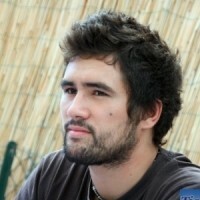 This is directly related to child arrests, and arrests without trial in general, because the main reason why the secret services want to make arrests without trial is that it gives them a really good chance to tell the arrested person that, if they want to be free, they have to work for the secret services. Nobody knows the numbers, but this succeeds. And it doesn’t need to be a sophisticated collaboration; maybe the person will just have to send a report every two weeks about something suspicious. And there’s nothing stronger than threatening a family by arresting their children. If you look at the graphs of child arrests since 1967, you will see that it goes up and down – this might be related to the number of collaborators that Israel can count on. The second point is that Palestinians have changed their strategy since ‘67, to a non-violent-bordering-on-violent resistance (if you assume that stone throwing is violent). They used this way during the First Intifada, and many children participated in it. Then during the Second Intifada, there were many suicide bombers and weapons, and fewer children participating, therefore fewer child arrests. Now, the Israeli military and secret services feel that something is boiling in the West Bank and they are preparing for a Third Intifada. It is very clear that it will be less violent than the previous ones. The State of Israel feels, or wants to feel, like it already started. That’s why they are reporting constantly about the increase of stone-throwing, which automatically leads to more children being arrested and harassed. Israeli soldiers, of course, say that stone-throwing is a form of terrorism, putting lives in danger. Moreover, it makes soldiers feel humiliated, that they can’t respond brutally to this act and to non-violent protest (even if they actually do). There is an interesting Israeli NGO named “There is a Limit”, whose members were part of the first refuseniks. All Israeli soldiers have a little green book of regulations in their pocket, called “The Soldier’s Guide”, about how to act in different situations, and this NGO made a copy of the book and called it, “Guide To War Crimes”. They took all the instructions of the real book and changed them, in order to show soldiers that they are actually asked to commit war crimes, especially against Palestinian children. But the soldiers don’t care. If you tell them that arresting a child is against international law, they will just say that international law is anti-Semitic, created specifically against Israel. They seem to forget that international law was actually developed also because of the Holocaust. RM: You said previously that the Zionist idea of creating a Jewish state didn’t change. What do you mean by the term Jewish state? Do you think that Israeli final goal is to have complete sovereignty on the whole territory of historical Palestine? IP: The Zionist goal from the very beginning was to have as much as Palestine as possible with as few Palestinians in it as possible. There is no actual difference between what we today call left and right Zionism. The only difference is that the right wing speak their mind more, in the fact that they continuously let us know they want to take more and more land from the Palestinians. They do not care if it is not the right historical moment or if they have enough resources to do it or if the international atmosphere is not good. Whereas the left, the pragmatic left, say that they cannot take land all the time. So, for example, you need to look for good historical moments. Some of the left says that it’s enough to have 90% of historic Palestine for Israelis, with the last 10% for the Palestinians, who would also be denied Israeli citizenship. This is the two state solution vision from the Israeli perspective. This solution was born as an idea of the Zionist left. They said « give a little bit of the West Bank and the Gaza strip to the Palestinians and let them call it a state », even though it is not even connected. What they did is draw a map of the Palestinian state which only shows where the Palestinians live now, not one centimetre more. If you look at the map of the West Bank, you can see it; Nablus is Nablus, there are no suburbs of Nablus. According to Israel if there are no Palestinians living there, it’s Israel, regardless of why they are not there. Yet, if you have a settlement, you will need a parameter to protect it. This partition is something that the Zionist left already came up with in 1967. Palestinians can stay where they are but cannot have more space. RM: So this is the idea developed with the Oslo accords in 1993, which divided the West Bank into three areas (A, B and C)? IP: Yes, this is correct. But this idea was developed, as I said, in 1967 by the leftist Zionists, way before the Oslo agreements. The great architect of all this was the Zionist Minister of Labour, Yagel Alon. In 1967 Alon wasn’t speaking about areas A, B and C specifically but instead, he was saying that if we want a solution we need to divide the West Bank into two areas, one under Israeli control and the other under Palestinian control. He said that he didn’t care if the Palestinian area would be called a state one day – he had no problem with that. The problem will be who controls the West Bank’s strategic areas and resources. Israel must control the air and the Jordan river and the Palestinians must have no army to stop this. The whole concept of Oslo, to my mind, was truly birthed by the Israelis in 1967. RM: In the occupied West Bank, land appropriation is a daily occurrence, especially but not only in Area C. Do you see a present or future parallel with South African’s Bantustans and the reservations of Native Americans at this rate? IP: Yes. I think I already talked about this, but I will repeat it with a different focus. Israeli strategists understand that they will not be able to physically get rid of all the Palestinians as they will stay where they are. So, instead of getting rid of them, they are putting them in small prisons, so that they don’t feel they are part of Israel. You bring more Jewish people, you colonize, and in order to build houses for them you need to expropriate Palestinian land, because there is no Jewish land to expropriate, so you demolish Palestinian houses. Secondly, you build a separation wall between the Jewish space and the Palestinian space, and you expropriate more land, not only for the settlements but also to create a buffer zone, so that Jewish people and Arabs won’t live together. More importantly, you also take the best land – where the water resources are, and the quality of the land is good. And you take the good water from Palestinians and put it in the hands of the settlers, and make sure that the waste water flows onto Palestinian land. So it is even more cruel – not only do I take your good water, I also sell you bad water for double the price, which is just terrible. And as I said before, yes, I believe that there is a clear parallel between today’s situation in Palestine and the sad historical examples of Native Americans and South African apartheid. 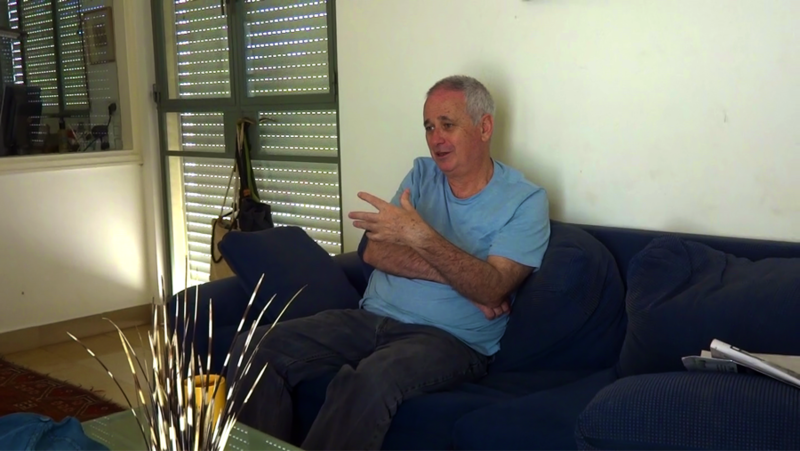 Why do you spread the theory of Ilan Pappé? He s an activist and a lier. There s more than 50 professors of history in Israel. Ilan Pappé created his own view of History in fonction of his political mouvment (extrem left radical). When it will be possible to read something equal on this conflit that hurt my country.